The Festival of Epidaurus in Greece (July-August 2014). The Greek Festival emerged in the 1950s as a response to the artistic demands of the time for a revival of ancient drama. Its fundamental objective was to attract tourism in the country. It was therefore initially a tourism-oriented artistic organization which, in the decades that followed, fulfilled its obligations of staging important performances in Athens and hosting ancient drama productions in Epidaurus. At the dawn of the new century, however, it was widely acknowledged that the festival’s obsolete identity could no longer uphold its prestigious title of a Greek cultural institution within Greece, let alone enhance it with international luster. Within this context, a new artistic director was appointed, with fresh ideas and undoubtable experience. Giorgos Loukos took the reins in 2006, at a pivotal time for the Greek Festival. His connection with the Festival d’Avignon, as well as his frequent collaborations with some of the world’s leading theatres, gave rise to hopes for a radical reform of the fifty-year institution. The 2014 Festival of Epidaurus was critical as to this point. Artistic Director of The Festival, Giorgos Loukos, allowed young directors to show their work on ancient drama on stage. As a result, part of the program was occupied by new artists. Even though the performances which followed were of a more conventional kind, the overall impression was that of a rejuvenated relationship between modern and ancient drama. 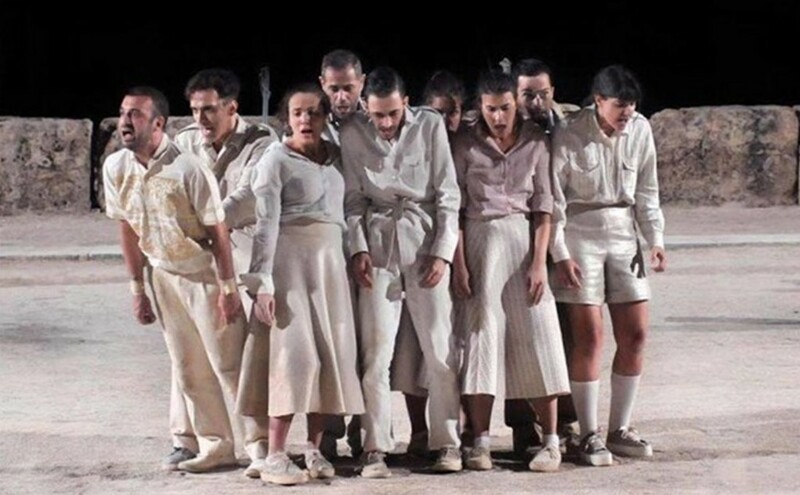 This change was evident in one of the first performances of the festival: Euripides’ Helen, directed by the 26-year old Dimitris Karatzas, the youngest ever director to see his work staged at Epidaurus. As expected, Karatzas gave a fresh interpretation of the play, based on a previous adaptation of his for teen theatre. The performance seemed to revolve around the chorus, rather than the leading roles. But, what amazed the most was the director’s overall attitude towards the play. Instead of mounting yet another interpretation of it, he assumed a doubting stance. He seemed to be asking questions about the play to the play itself, wondering about its meaning, posing questions even on stage. The production was a truthful one. What’s more it revealed not only the new artists’ eagerness to have a close encounter with ancient drama but also their skillfulness in the theatrical techniques of mass recitation, coordination and movement. The production of Prometheus Bound by Ektoras Lygizos (36), a well-known Greek director, was even more provocative. Lygizos’ fame owes to his successful film The Boy is Eating the Bird’s Food (2012). Nevertheless, his interest in the theatre has never wavered and to this day has led him to some very mature ideas regarding how to stage ancient Greek drama in a closed theatre venue. Due to his former success, the audience was eager to see the director’s first production at Epidaurus. As expected, Lygizos’ Prometheus presented a “skewed” interpretation of Aeschylus’ tragedy. What provoked the most was the way the director presented the hero himself. He had two actors play the part (himself and actress Stefania Goulioti), and speak as a man and a woman alternately. So dominant was this finding that the rest of the actors seemed to “present” rather than “act” their parts. Lygizos meant to ask the audience what this play has to say to us today. The wooden totem that was lying in the middle of the orchestra represented the fallen ancient idol of spirituality which we seek to revive today. Both plays evoked mixed feelings. Part of the audience hailed such initiative whereas others objected to the plays’ perspective which bordered on comedy and kept a “Brechtian distance” from the original text. The two productions, however, seemed to express the yearning of modern theatre to establish an active and not a passive relationship with tradition. The following plays were less provocative as to their perspective and also less controversial. Sophocles’ Philoctetes by Kostas Filipoglou (50) revolved around a fresh interpretation of the hero, played by Michael Marmarinos, a director and actor. Marmarinos’ Philoctetes had an inner calmness, a serenity of a spiritual kind caused by his martyrdom, his persistent pain, his despair when faced with the wilderness of the island. Around the main hero, Filippoglou structured a performance that had rhythm and some great ideas. Among the latter was to present the chorus of sailors as strapping soldiers devoted to Ulysses’ goal but doubting his morality. However, all in all it was a rather conventional concept, which followed the beaten track as far as staging an ancient tragedy is concerned. The National Greek Theatre’s production was next. It is customary for it to stage two plays, a tragedy and a comedy. The tragedy was Euripides’ Hippolytus directed by the well-known actress Lydia Koniordou (62). Koniordou had directed Euripides in the past. Her perspective had always been stylistically rich, bringing out the underlying comic elements of the play. This time she tried to present Hippolytus as a “fairytale drama”. She divided the chorus into two groups of both sexes: the men were Hippolytus’ men and the girls Phaedra’s ladies-in-waiting. The conflict between the sexes indicates how far men and women are from deeply understanding each other, a clash that the main characters pay dearly for. The tragedy’s main idea was accentuated with numerous multimedia elements, which made it seem a bit ostentatious and gave the impression it put a lot of emphasis on spectacle. 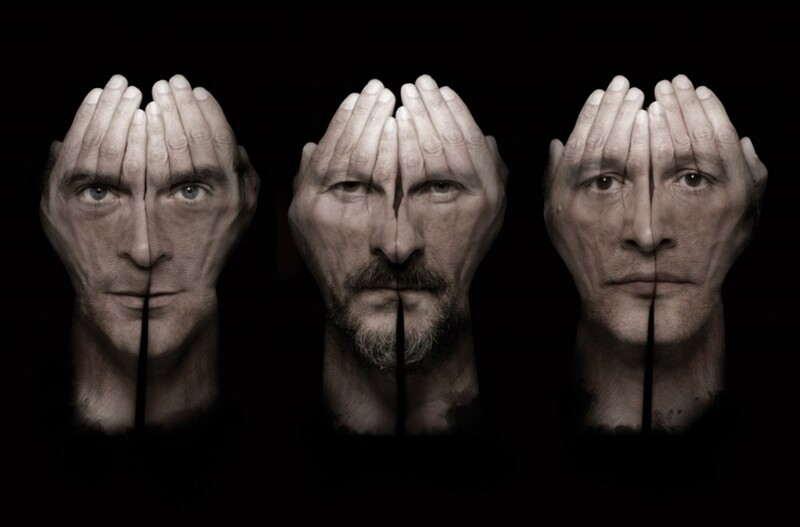 Hippolytus was not considered a success unlike the National Greek Theatre’s comedy, The Frogs, directed by the experienced Yannis Kakleas (62, a representative of an older Greek generation of theatrical pioneers who loved Artaud as much as rock music). The audience hailed Kakleas’ interpretation of Aristophanes’ play. In a world of darkness where all hope is lost, people turn to old poets. The play maintains that poetry can save a city in danger and a nation that’s tormented. This rather gloomy message appealed to the Greek people at a time of crisis, and it is no surprise that it had a huge impact. The Frogs was a clear triumph and received rave reviews. To its success greatly contributed a cast of great actors and the fact that one of Kakleas’ long standing collaborators, Vasilis Haralambopoulos, played the part of Dionysus. The last performances of the festival were staged by two female directors. The first, Angela Brouskou, staged the Bacchae in an effort to express the insecurity that comes with the advent of what is new and unknown. In the two leading roles she had cast two important actors: actress Aglaia Pappa played Dionysus, and actor Aris Servetalis was Pentheus. 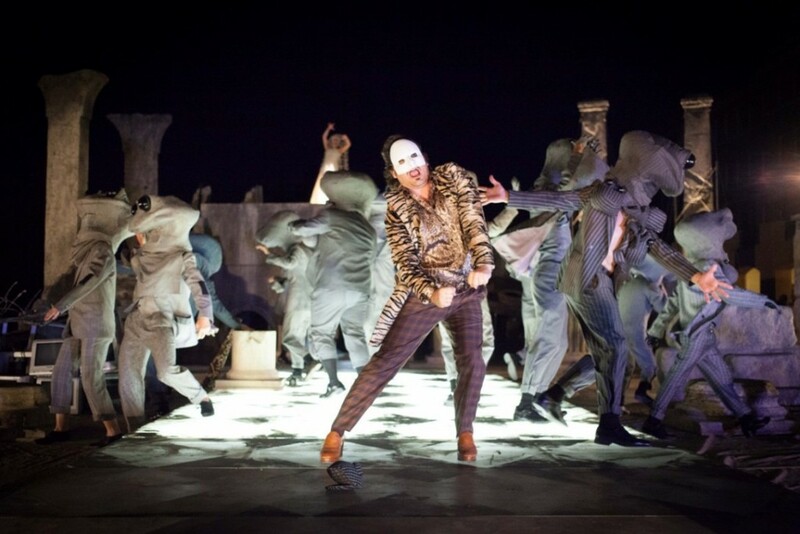 However, the performance failed to serve as a clear new approach of Bacchae, as the director had taken on a play that’s “exhausted” from constantly being at the international forefront. Last but not least, the second state theatre of Greece, the National Theatre of Northern Greece staged The Persians directed by Niketi Kontouri (58). Unfortunately, here too, some of Kontouri’s brilliant ideas (such as to cast a very good male actor, Akis Sakelariou for the part of queen Atossa and divide the chorus of the tragedy into elderly consultants and “mourning brides”), were lost in a flood of contradictory messages. The performance was supposed to have a political undertone but instead got stuck in the formalism of ancient tragedy. 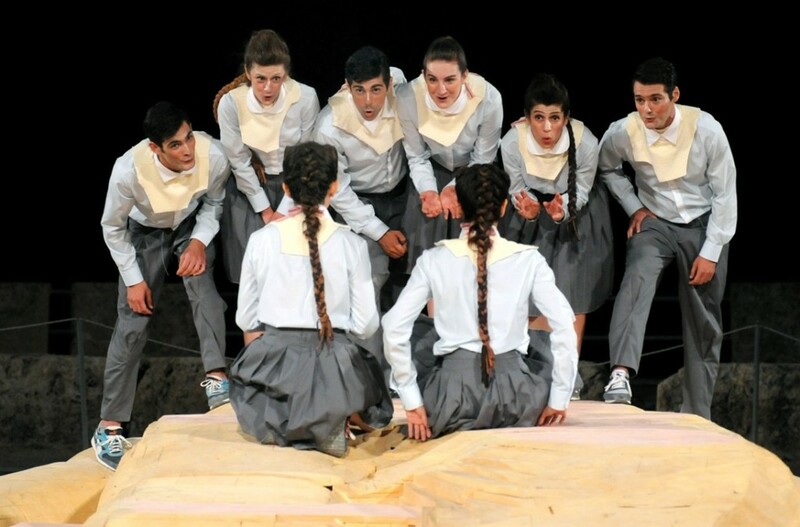 The impressive debut of the 2014 festival of Epidaurus followed a number of rather conventional performances, bespeaking the dilemma that presents itself to the Greek theatre. The Greek theatre is seeking a new identity. It is struggling to hold on to tradition while at the same time it rejects the inflexibility of its heritage. Time alone can tell which trend will prevail and if, in the end, there will be some kind of creative compromise. 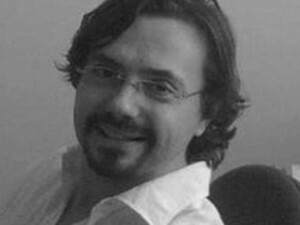 Grigorios Ioannidis is Assistant Professor in Theatre Studies Department, University of Athens, Greece. Diploma in Electrical Engineering (NTUA), BSc in Theatrical Studies, University of Athens. MA. in History and Philosophy of Science and Mathematics, King’s College, London and a Ph.D in theatre from the University of Athens (Theatre Department). 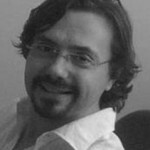 He is the theatre reviewer for the Editors’ Newspaper (Efimerida ton Sintakton). 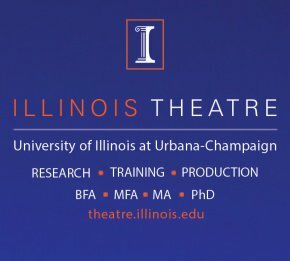 Areas of teaching and publishing: Post-War Greek and European drama, foreign plays on the Greek Stage and new technologies and contemporary theatre practice.